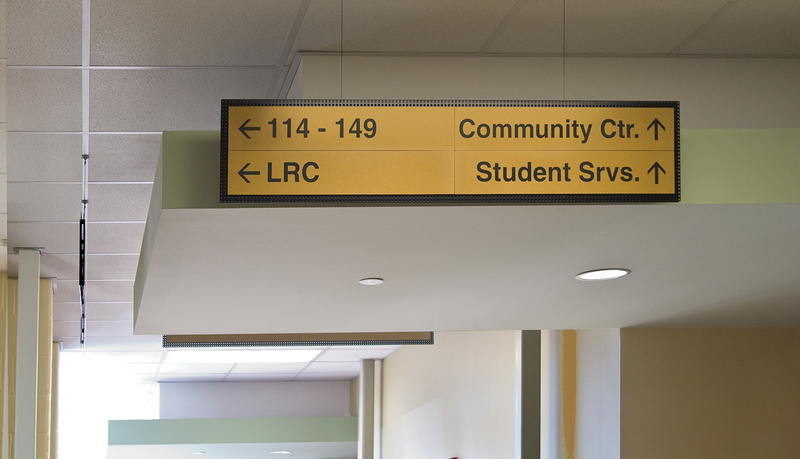 Southern State Community College (SSCC) is a system of four local community campuses that serve the higher education needs of students throughout central and southern Ohio. 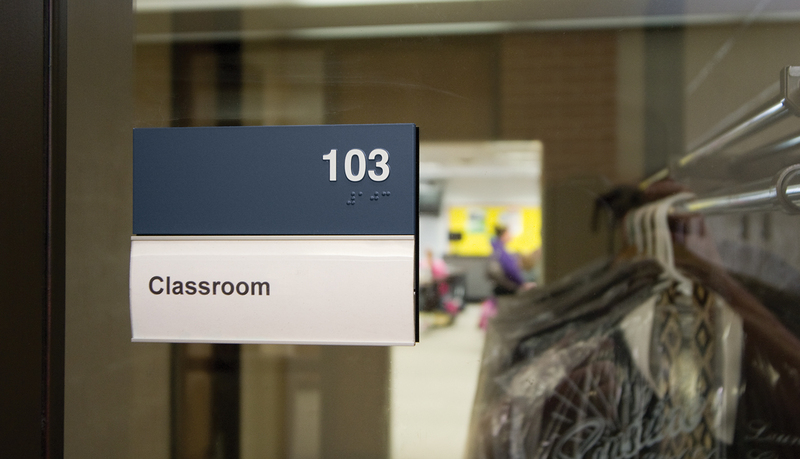 While the main campus in located in Hillsboro, there are three other satellite campuses strategically located in the region to ensure that quality education is delivered to students close to their home. 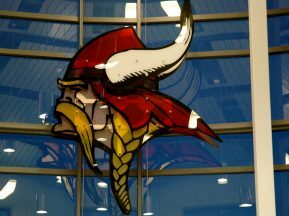 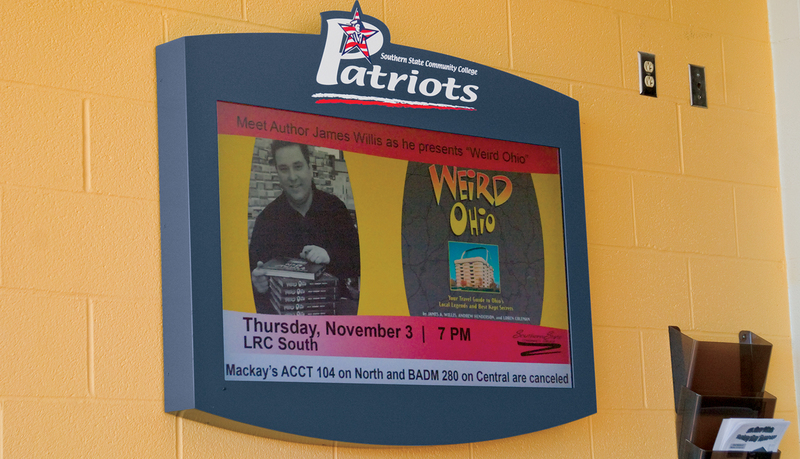 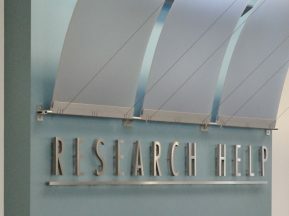 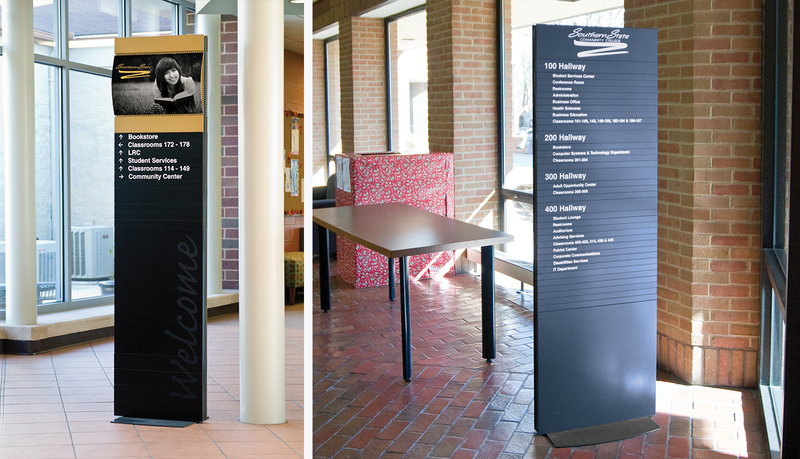 The marketing team for Southern State Community College wanted a more efficient method for communicating events and services to the students and staff. 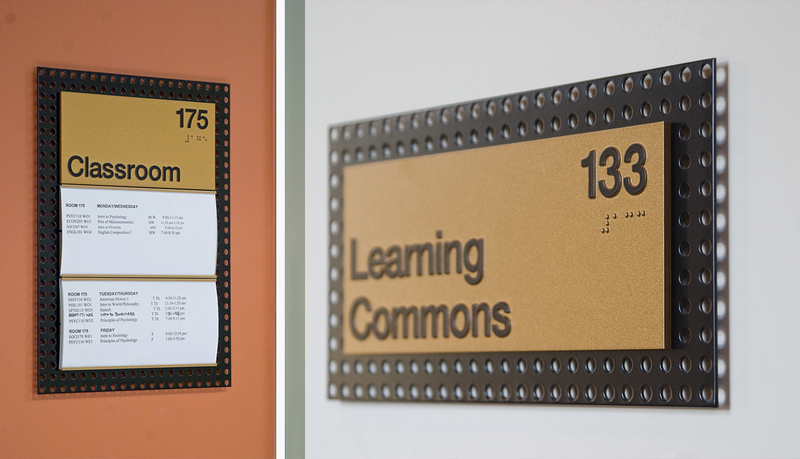 The current method of using updateable bulletin boards was not meeting the communications needs and the bulletin boards were an inefficient method for providing the latest information. 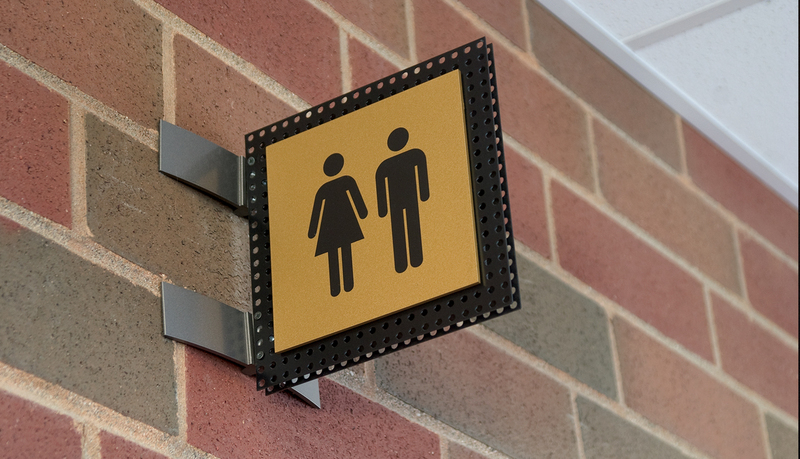 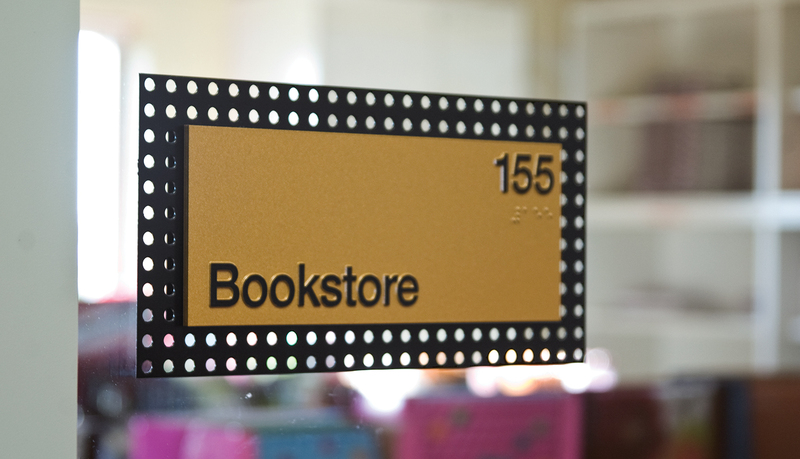 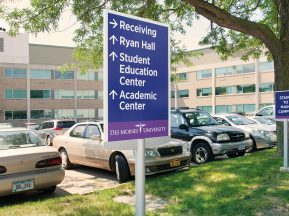 Because ASI has served the interior architectural signage needs of the college for many years, the marketing team asked ASI to provide a consultative solution to solve the problem. 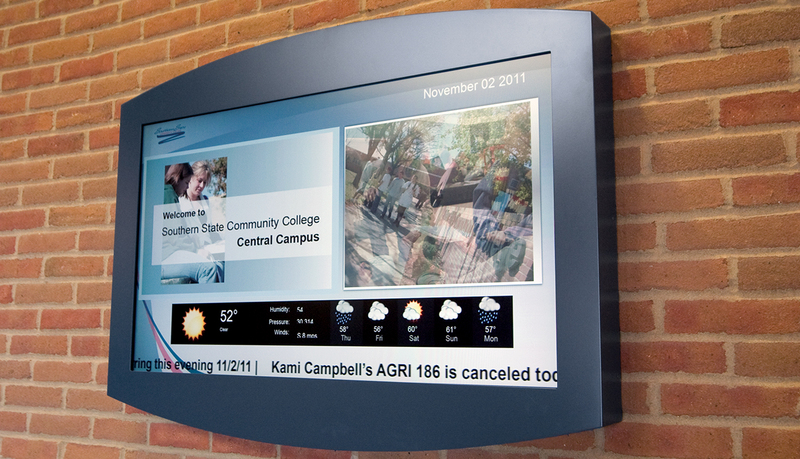 After evaluating the communication needs, ASI recommended replacing the traditional bulletin boards with a networked system of Helix dynamic digital signage for all four Southern State Community College campus locations. 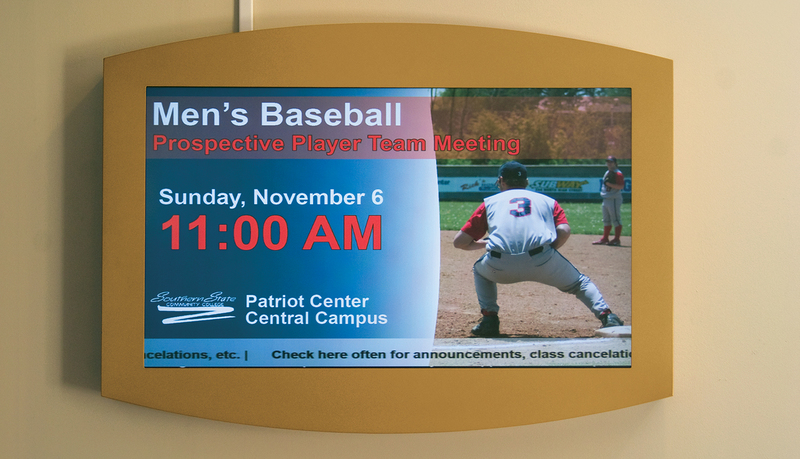 The Helix digital signage solution is comprised of varying displays, ranging size from 32” 40” and 46” to meet the communication needs of each campus while complementing the existing interior signage solution. 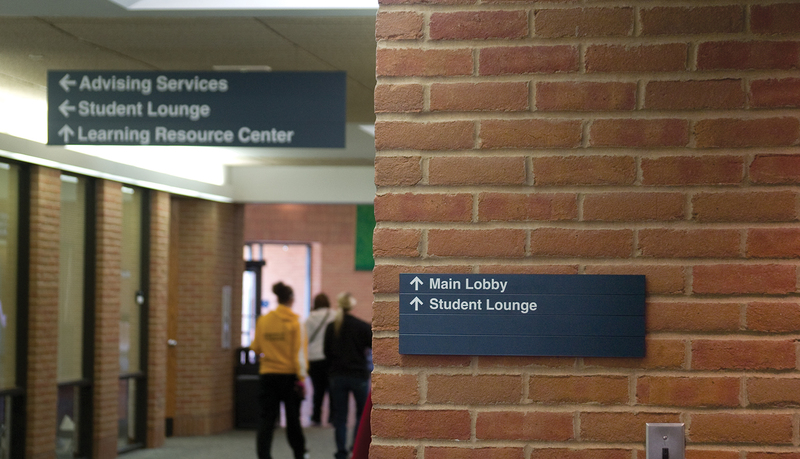 Due to the architectural structure of both campuses, the Helix digital signage enclosures had to be mounted to brick and cinderblock walls. 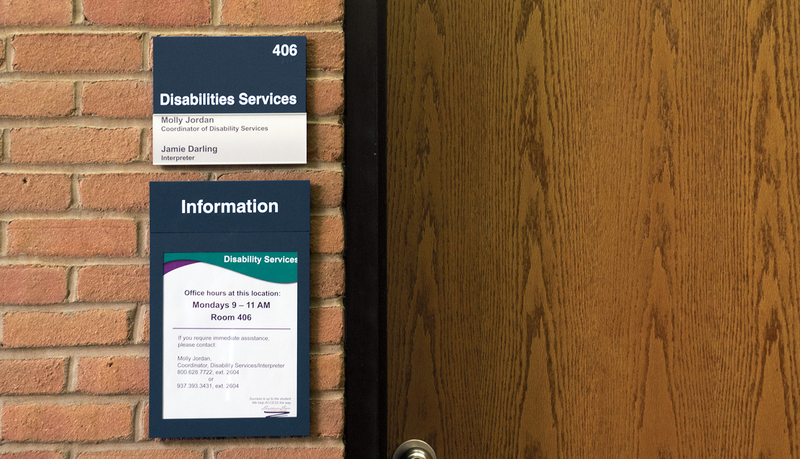 ASI adjusted the depth of the enclosure to conform to ADA guidelines without sacrificing design aesthetics. 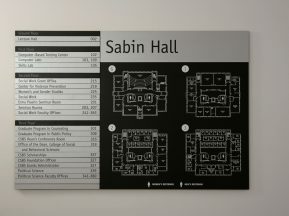 To further complement the architectural design of the Central campus’ Patriot Center, ASI created a custom surround for the 40” display to include the Patriot Center logo. 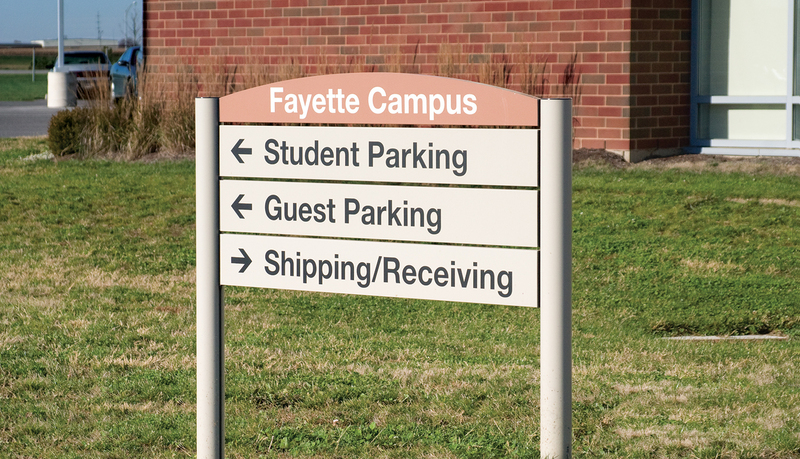 In addition to the interior signage and digital signage, ASI also provided a Compass exterior modular directional sign for the Fayette campus.